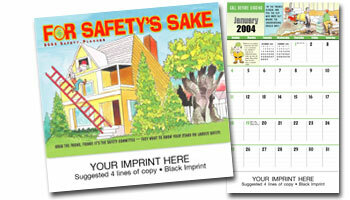 Click on the product name link for an image. 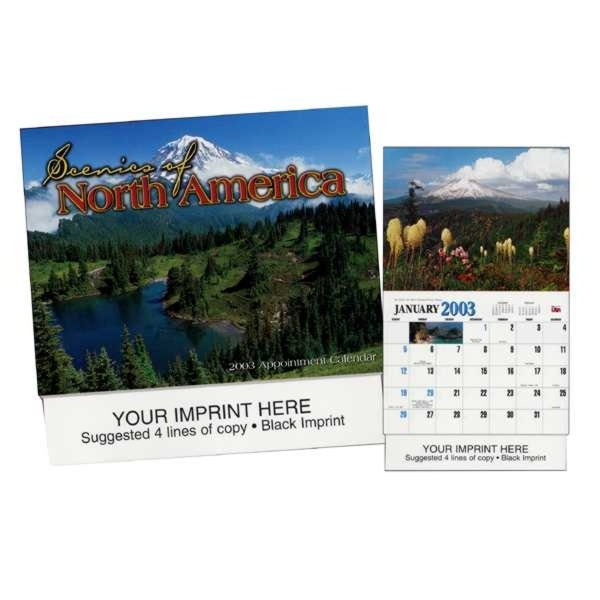 Features: 13 month with full-color photos, high quality paper, large, easy-to-read, English, Hispanic and Canadian holidays highlighted, 3-year preview on back cover with telephone number space. 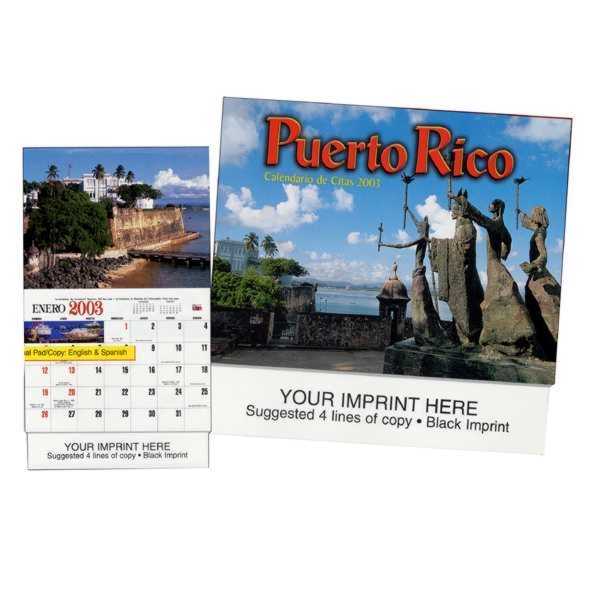 300 minimum for below pricing. 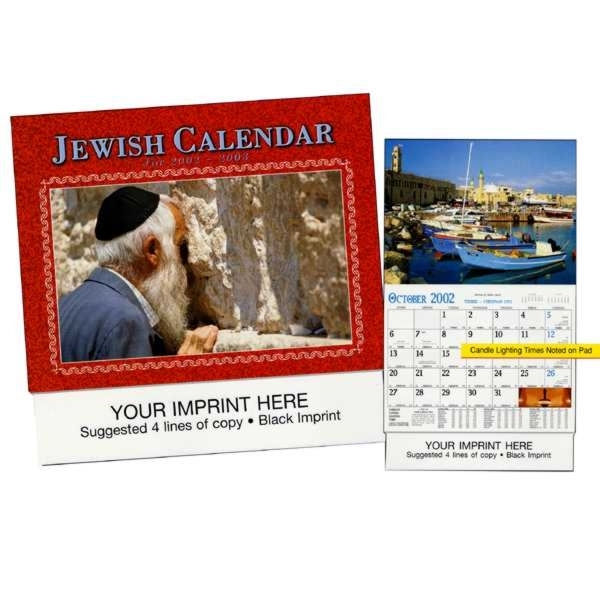 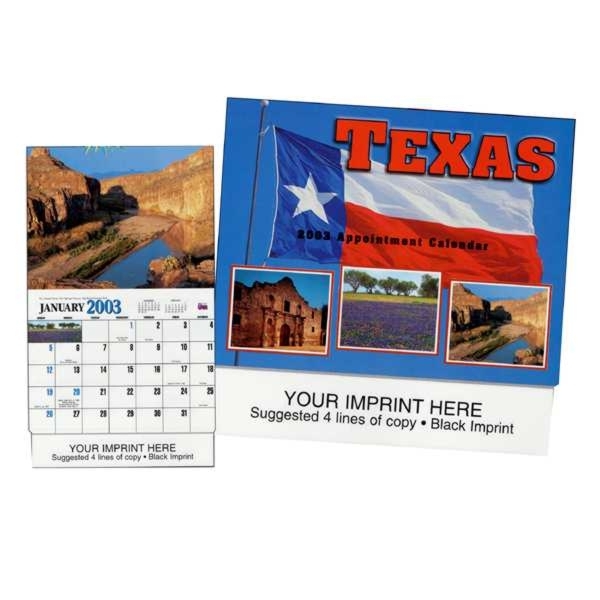 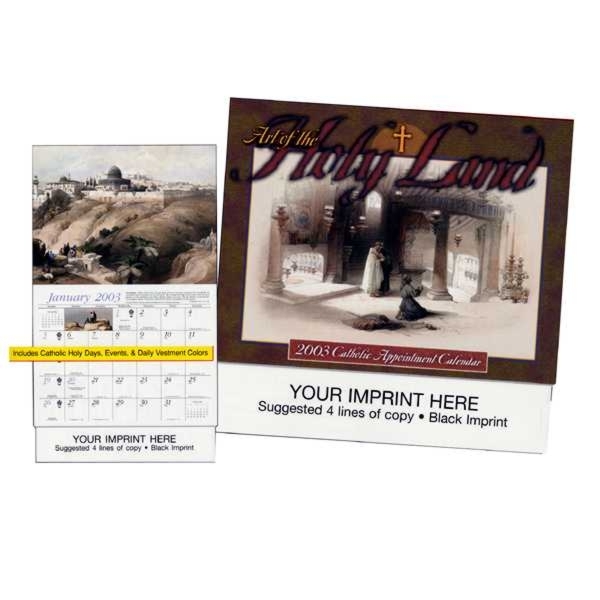 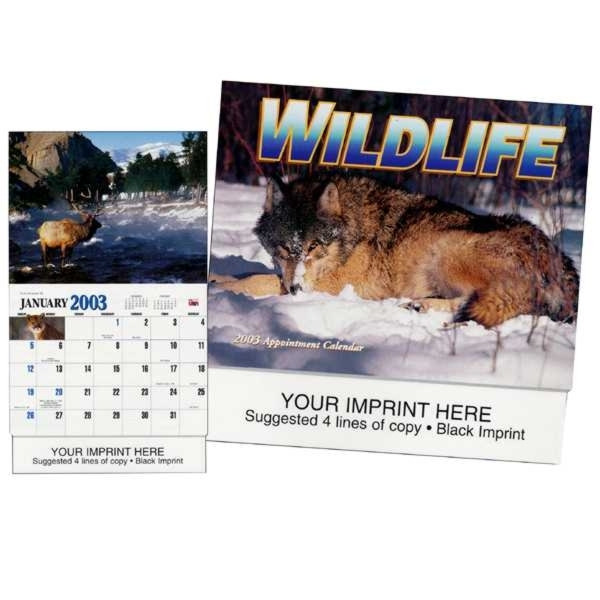 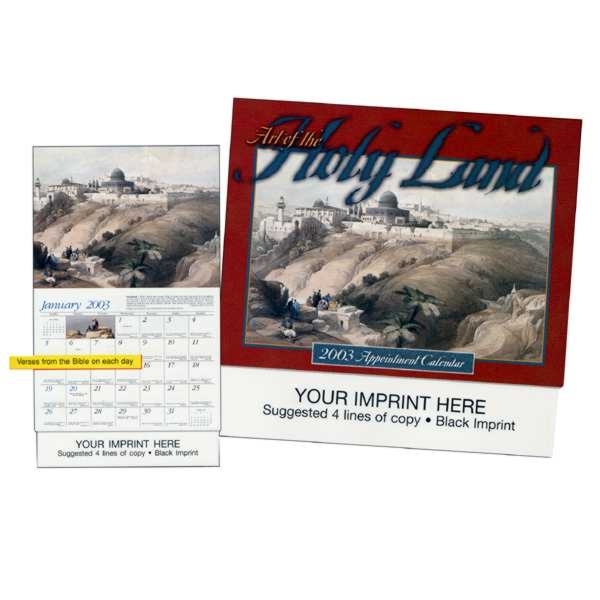 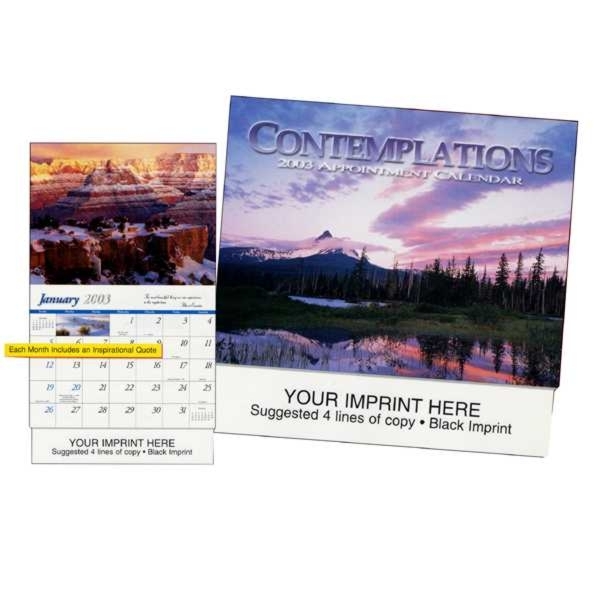 10.5" x 10", opened 10.5" x 18"
9" x 1-3/8" black imprint included in above pricing. 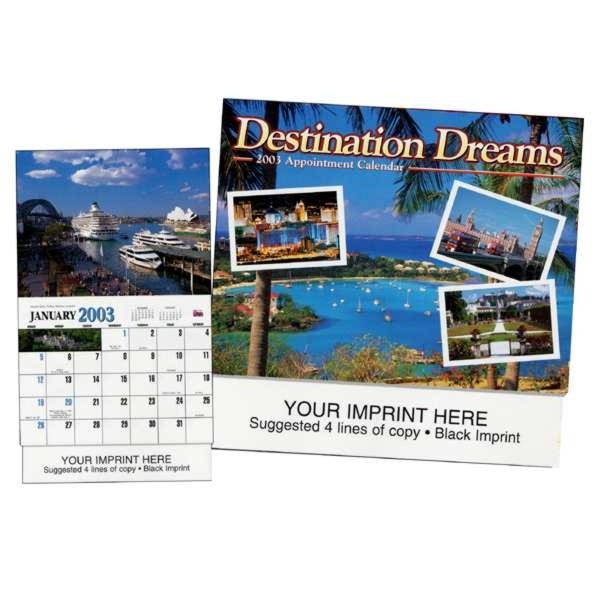 For blanks deduct 5% off listed printed pricing. 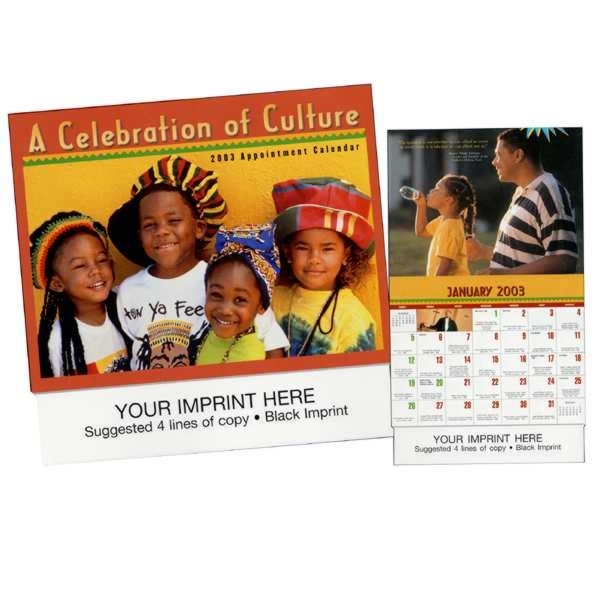 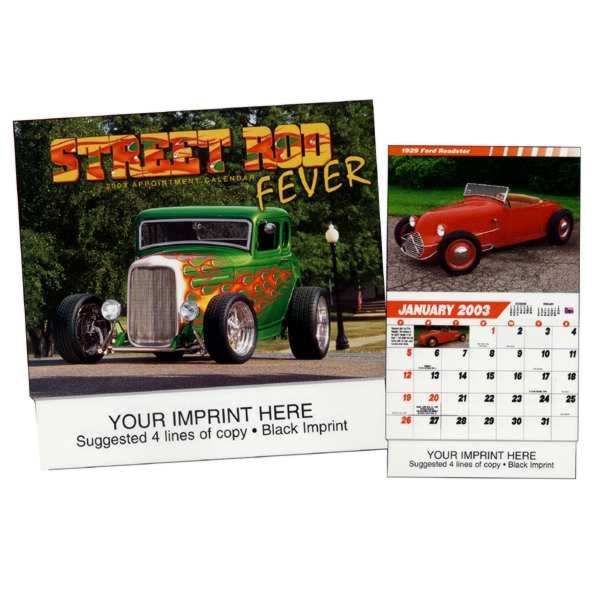 To order simply provide your text or camera ready or electronic artwork (proof provided upon request), quantity, imprint color, design choice, ship to address and payment information. 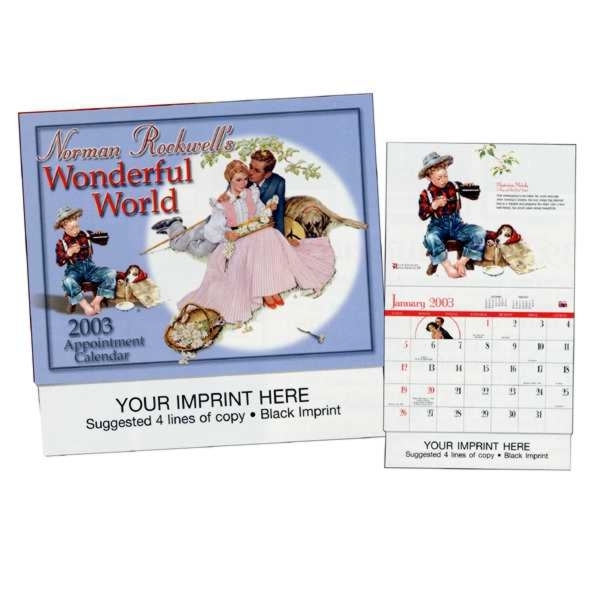 Envelopes for easy mailing of your calendars $.25/each for #9181 plain white OR $.27/each for Season's Greeting style envelopes. 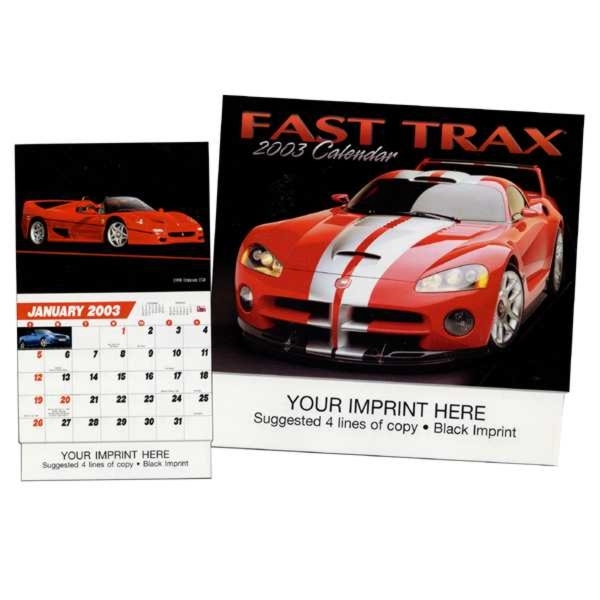 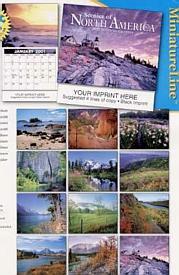 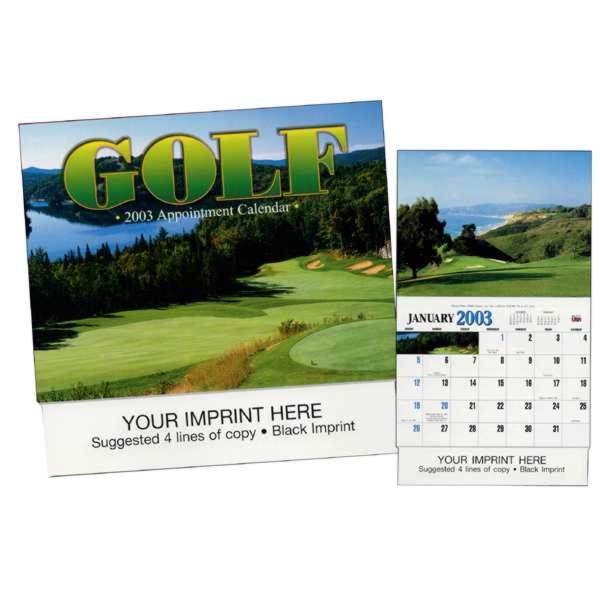 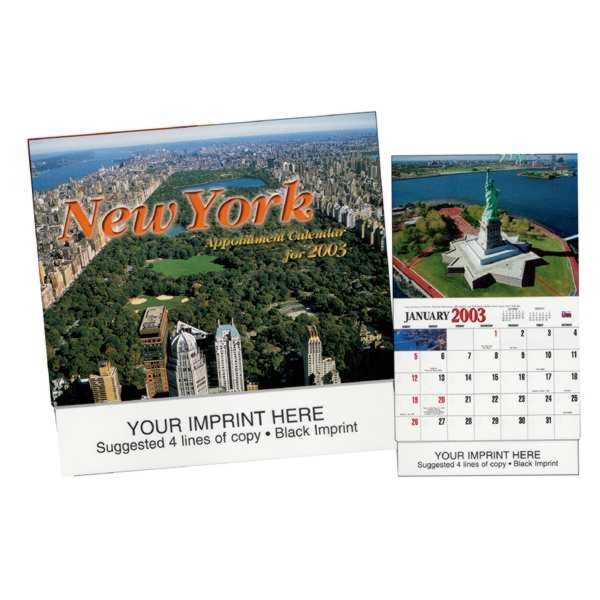 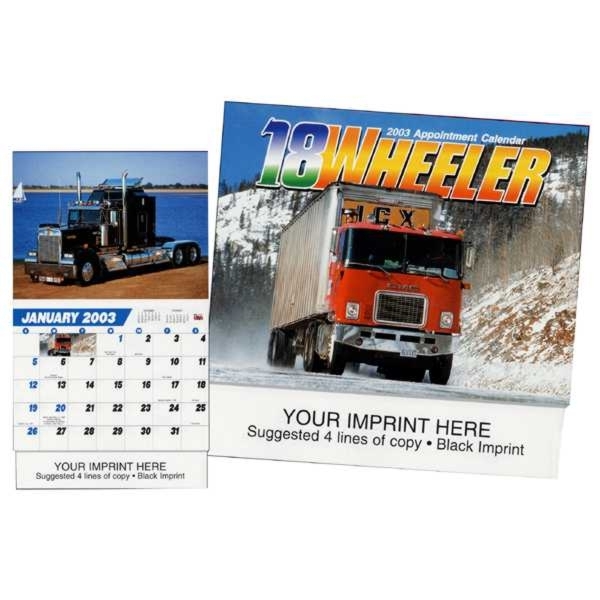 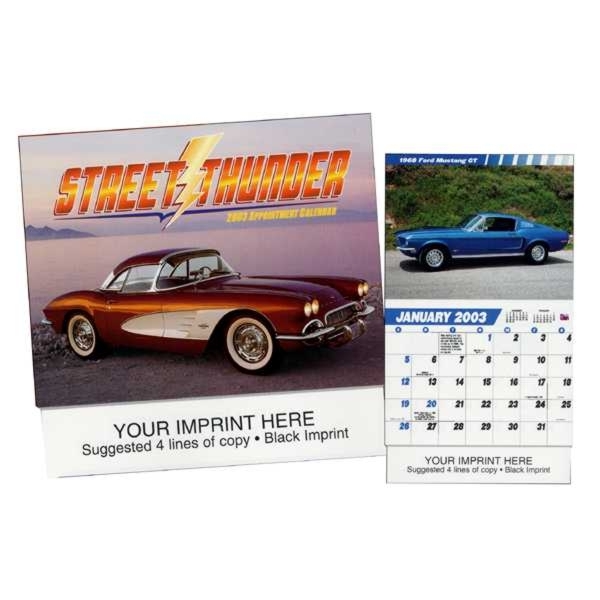 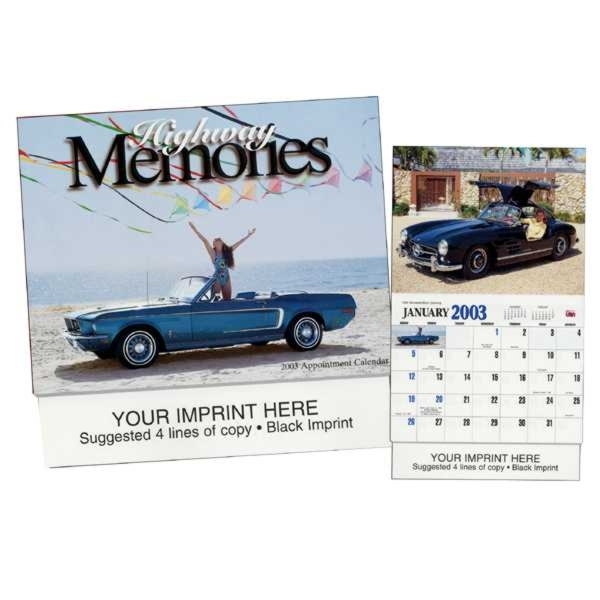 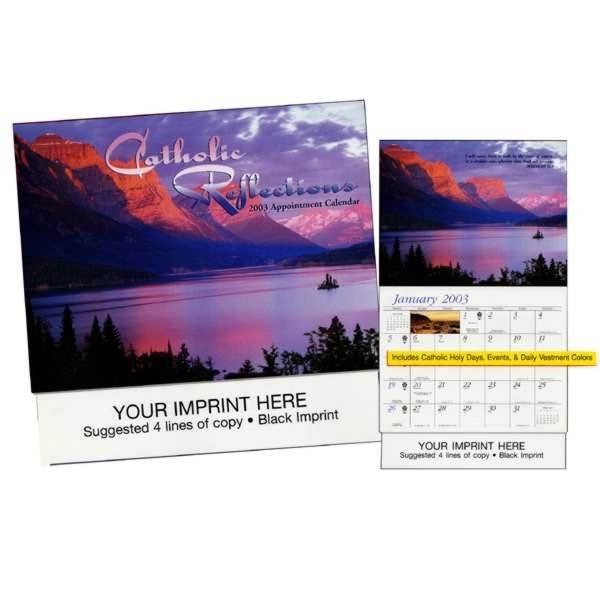 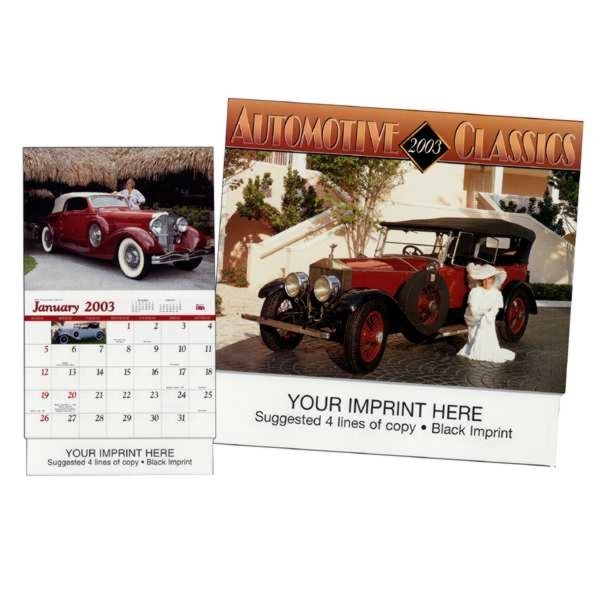 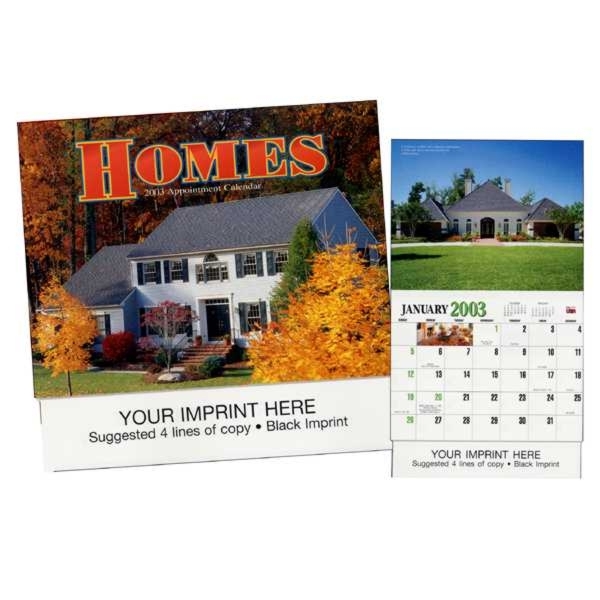 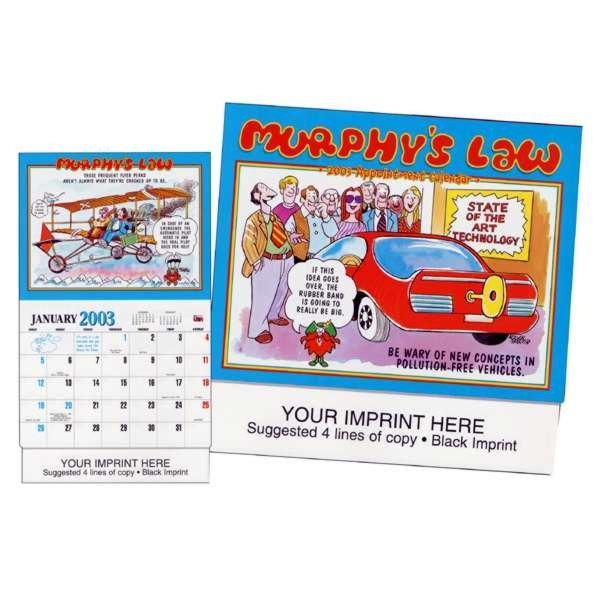 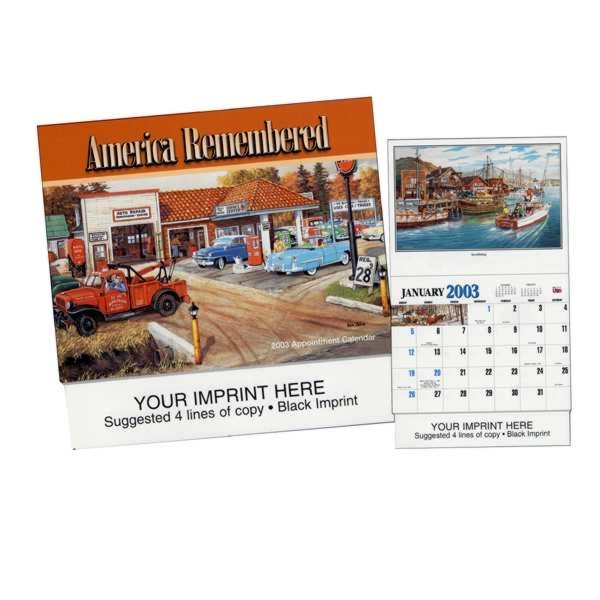 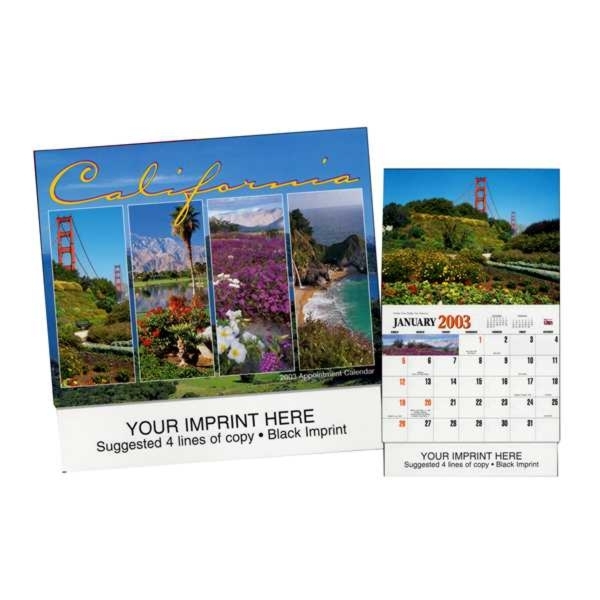 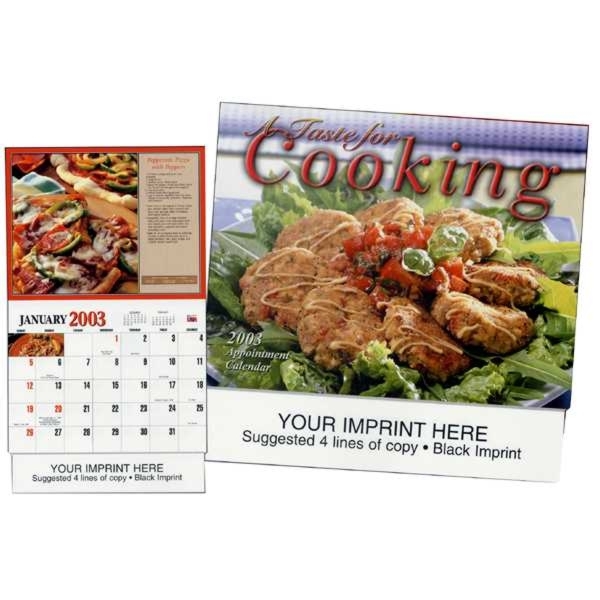 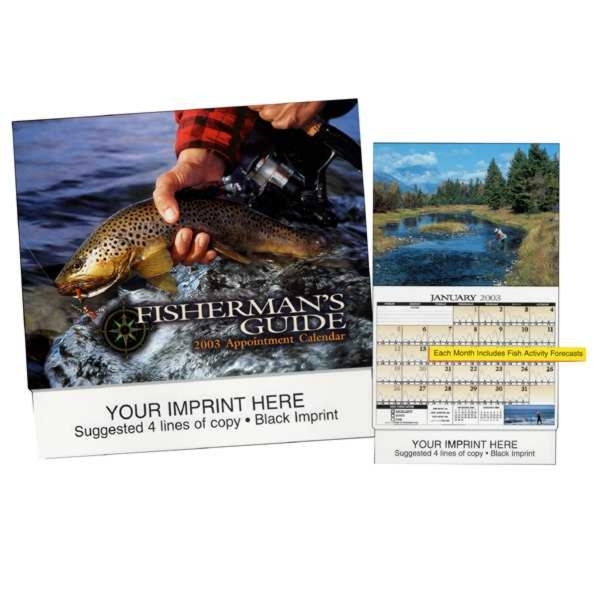 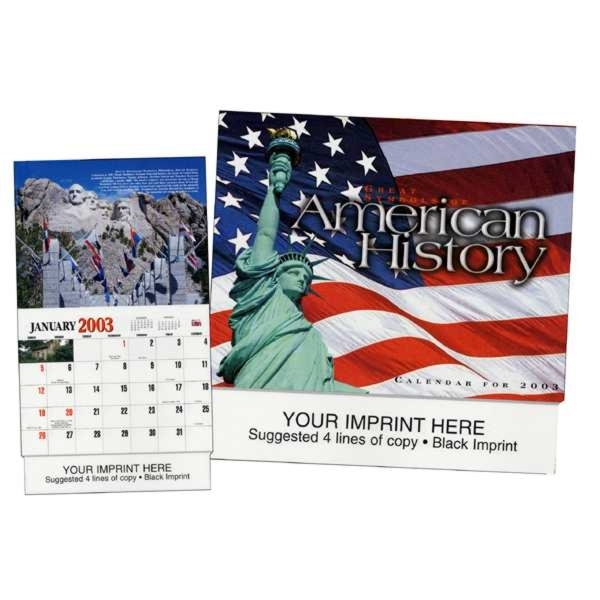 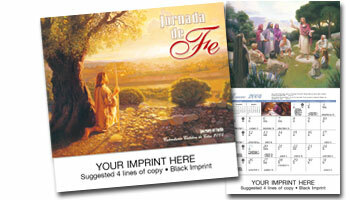 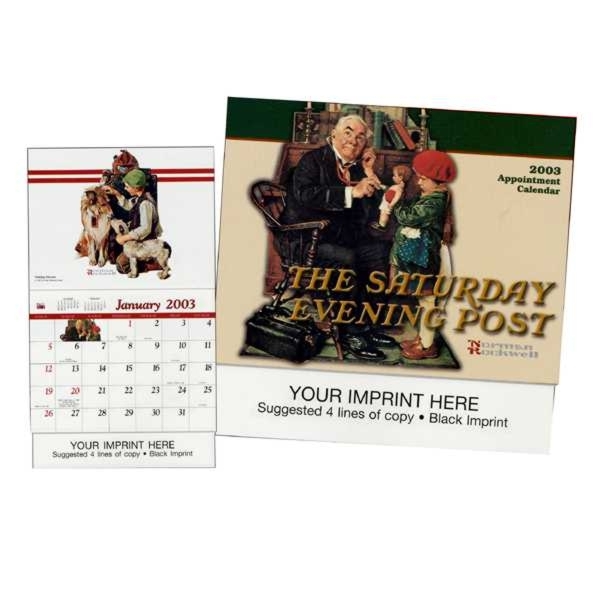 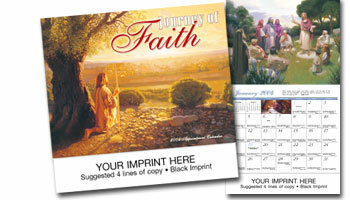 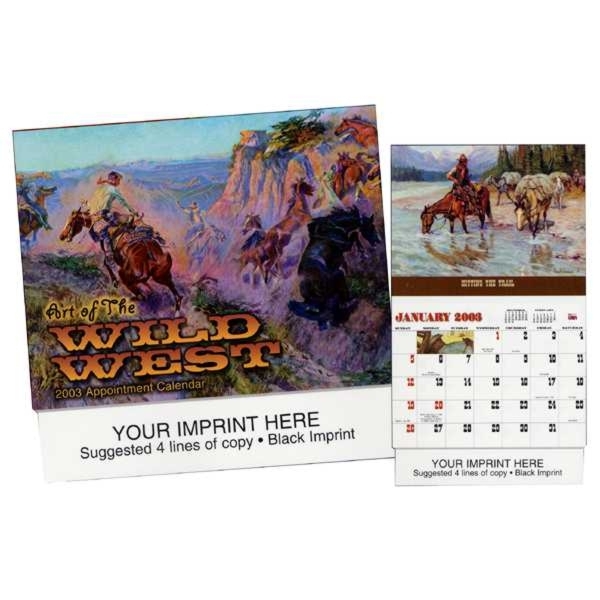 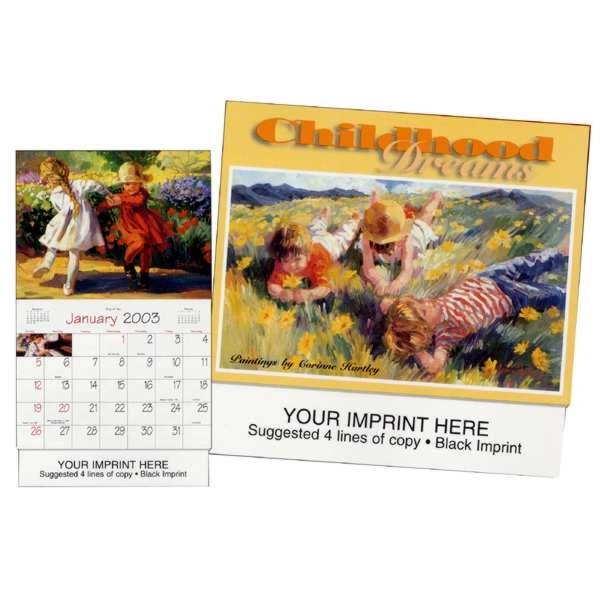 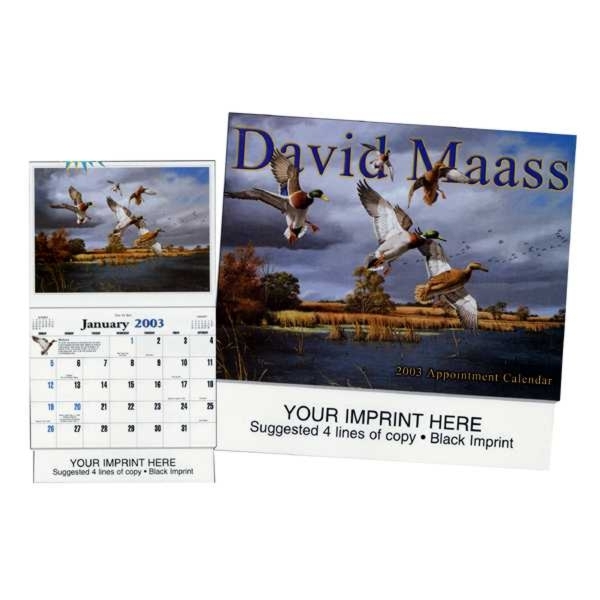 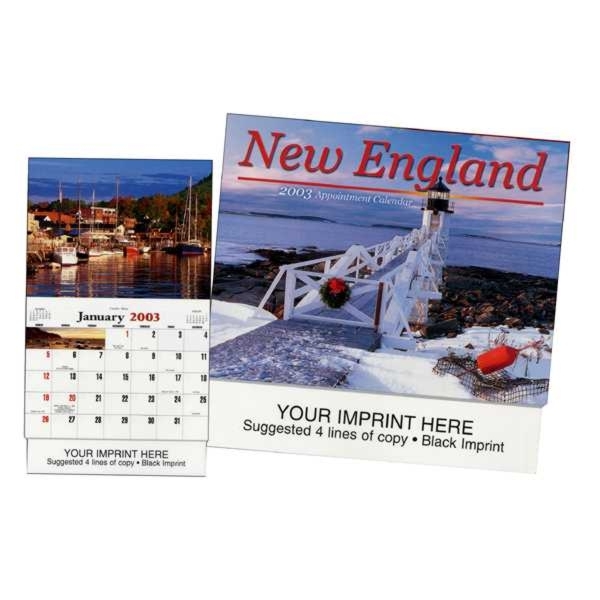 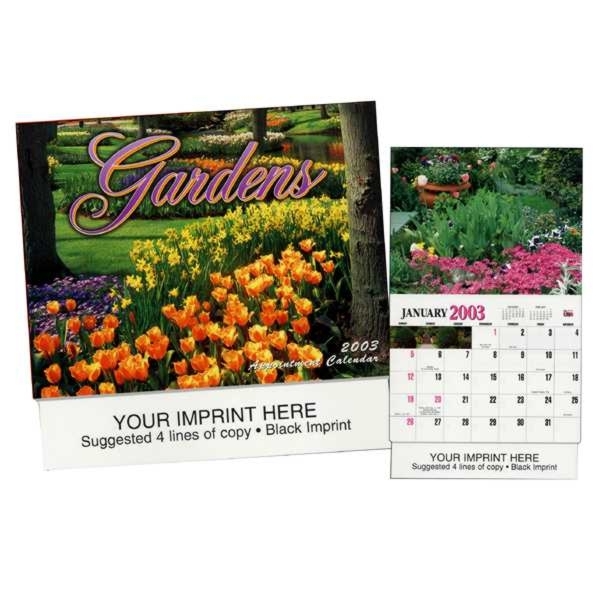 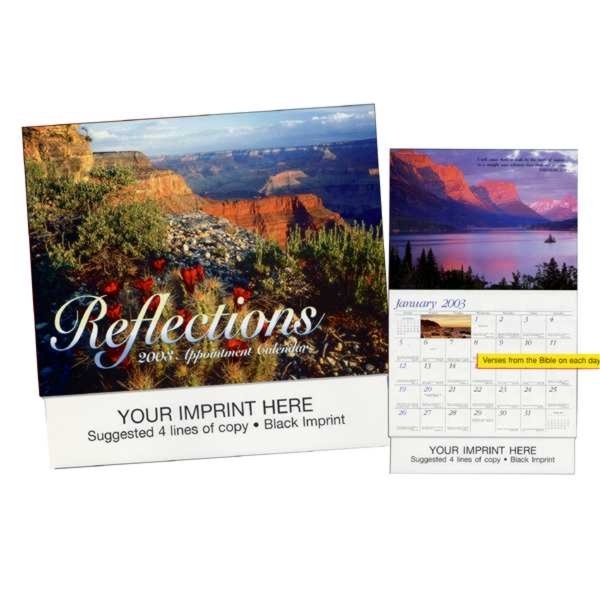 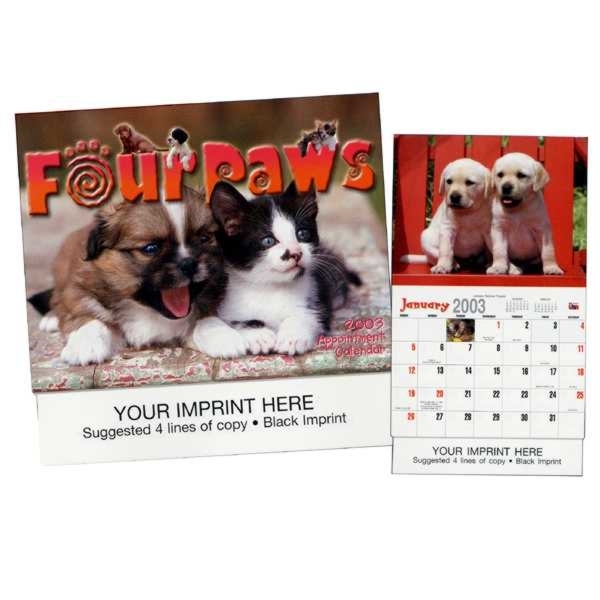 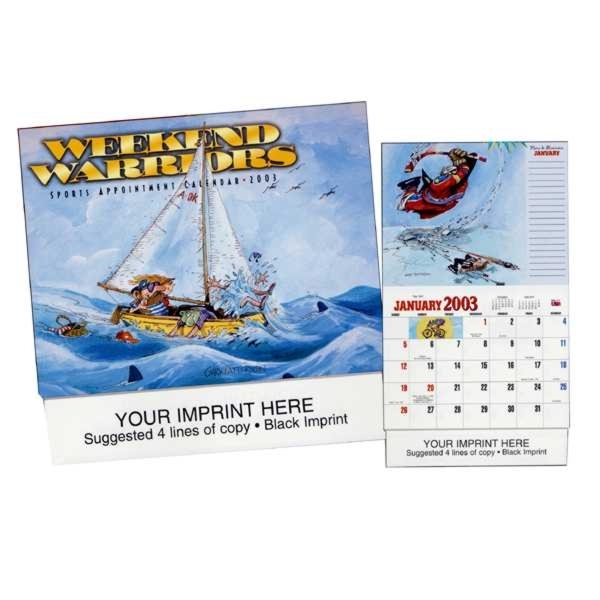 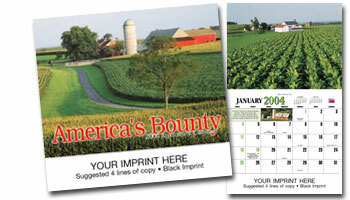 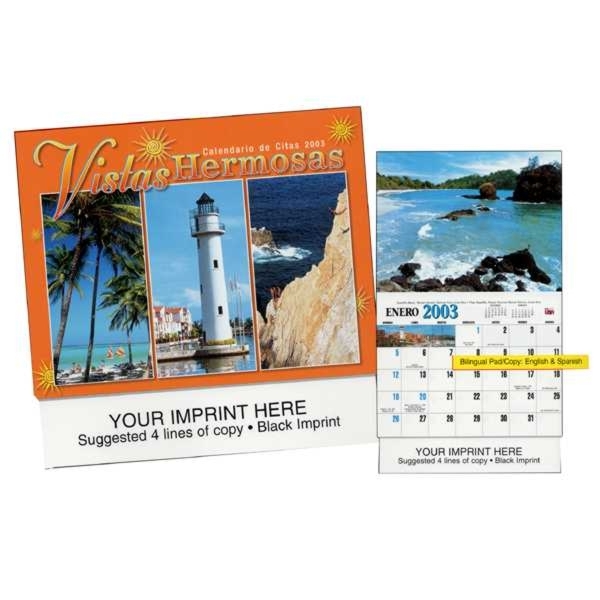 Envelopes measure 11" x 10.5" - for calendar pre-inserted into envelope, inquire with quantity for pricing. 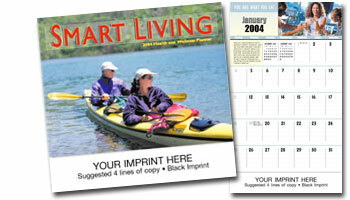 Discounts for orders received Jan 1st to May 31st of each year.